Brief Synopsis – After falling in love with the DA daughter, a gangster pretend sto go straight in order to win her heart. My Take on it – This is yet another film that I knew absolutely nothing about before seeing that Van Heflin won an Oscar for his work here. The overall premise of this film is quite interesting but this kind of story has been done and re-done so often over the course of the years and quite often much more memorably than they manage to do here. 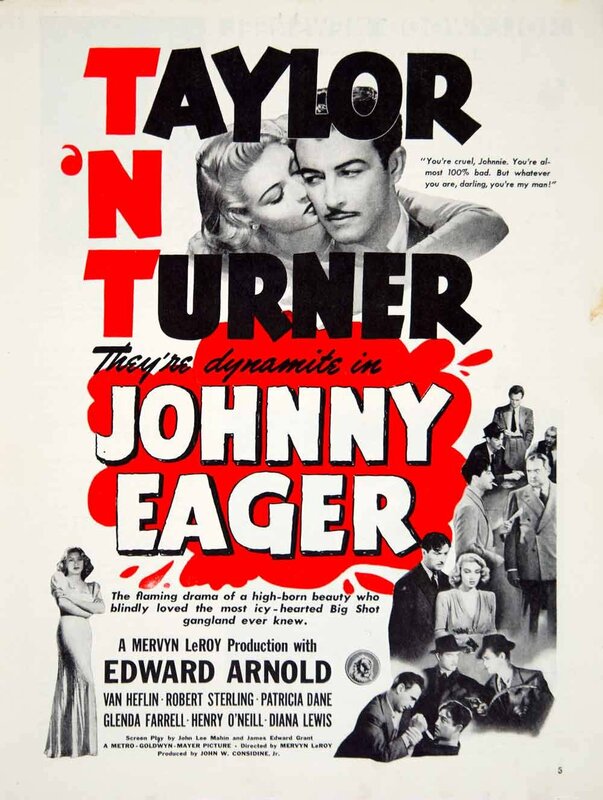 Robert Taylor and Lana Turner are both fine in the very cliched leads here but the standout is obviously Heflin who steals every single scene he is in as the main character’s best friend and confident. He definitely deservingly won an Oscar for Best Supporting Actor for his performance here. The film’s plot is made up of some very suspicious coincidences that actually hurts the enjoyment of this story because they seem much too convenient and take away so much from the believability of the way this story is depicted. Bottom Line – Interesting idea that has be done and re-done so many times over the years that this story doesn’t quite manage to stand out among them all. Taylor and Turner are both fine in the leads but Heflin steals every scene he is in and remains the most memorable thing in the film. He deservingly won an Oscar for Best Supporting Actor for his performance here. Some of the coincidences in the plot seem a bit too cliched and that also hurts the enjoyment of this story a bit. I always felt that Van Heflin was underrated as an actor. This certainly is one of his finest performances. One of the first roles I saw him in was in Rod Serling’s Patterns. Not many people are familiar with it, but it is a good drama which also stars Ed Begley Sr. and Everett Sloane.